If you have been injured due to the negligence of another person, you deserve compensation for your injuries. Medical bills and time lost at work can add up quickly to cause serious financial difficulties for you after an accident. The lawyers at Foster, O’Daniel, Hambidge & Lynch can help with your personal injury case in Evansville and surrounding areas. Car accidents are a scary and stressful situation to find yourself in. If you are in an accident, it is important to report it to the police and your insurance company so that you have the proper paperwork. A car accident can lead to high medical bills and loss of work time; don’t settle for less than you deserve. 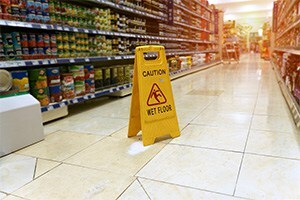 Most workplaces strive to create a safe work environment, but accidents can still happen. 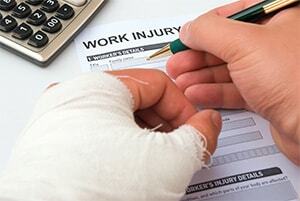 If you are injured at work, it is crucial to report the injury as soon as possible to avoid complications later. You are entitled to Workers Compensation, so if you’ve been injured on the job, let Foster, O’Daniel, Hambidge & Lynch help ensure you get the proper compensation. Sometimes, despite following all the safety regulations, you may be injured while working in construction. These injuries are often serious and debilitating, creating financial hardship for you and your family. We will work hard to ensure you are properly compensated for your injury. Other types of personal injury claims fall under the category of negligence. This can include slipping and falling, defective design, homeowner negligence, and more. If you feel that your injury was due to the negligence of another person, call the law firm of Foster, O’Daniel, Hambidge & Lynch. We offer a free case evaluation and can explain your rights.